This weekend, Buff and I hosted a St. Patrick’s Day dinner for some close friends. Shepherd’s Pie (actually, Cottage Pie) and green cabbage were served, and I got the inspiration to try to make Black and Tans to drink. 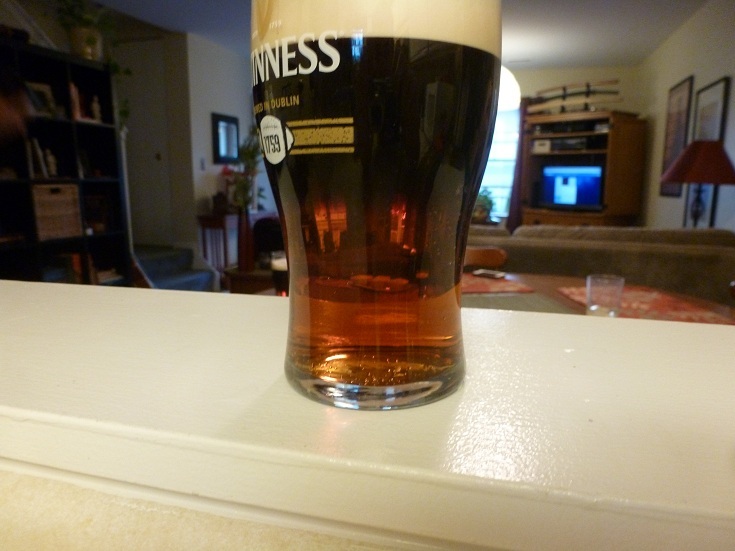 The apparently official way to pour a Black and Tan-type drink is with a pouring spoon, one with a bend in the middle of the handle that lets it rest on the side of the glass with the spoon concave-side down. I could have ordered one from Amazon for $8, but instead I went to the Goodwill thrift store and got a spoon for $0.27. A couple minutes with pliers and I had my pouring spoon. I’m not 100% sure what the spoon does, but I can only guess that since the darker drink doesn’t have as far to fall it has a better time staying at the top. Here’s the first pour. Something wasn’t right, as the separation line was fuzzier than I expected. Then I remembered hearing that you have to pour the tan portion quickly, making about as much head as possible. I’m not sure if it’s that the ale part is less turbulent without the bubbles or it’s actually heavier with the bubbles removed, but it stayed put much better when I did it. I assume the spoon does what you say. Guinness comes out pretty fast out of a tap, and it’s got a special nozzle for pouring just Guinness. You are supposed to put the nozzle below the surface of the beer when you pour it. I would imagine that it really helps to have the spoon there to help break the flow of the Guinness so it doesn’t go right to the bottom of the glass. 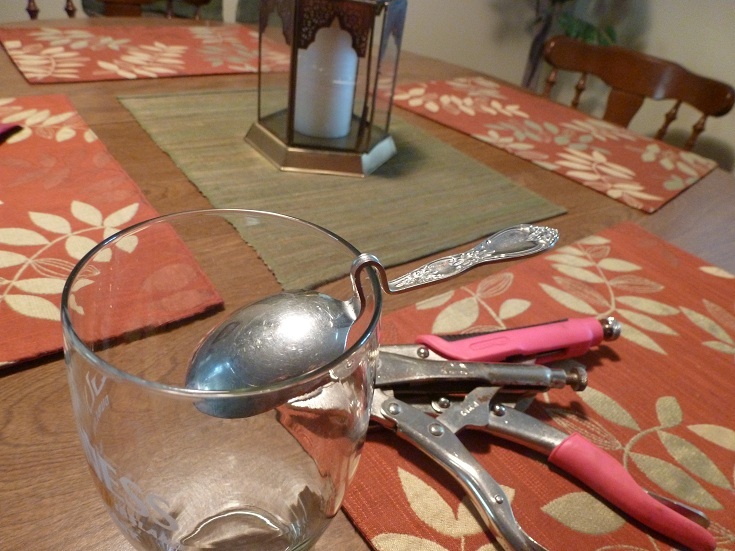 Spoons are also used with layered mixed drinks like a B52 – they totally don’t work without the spoon. 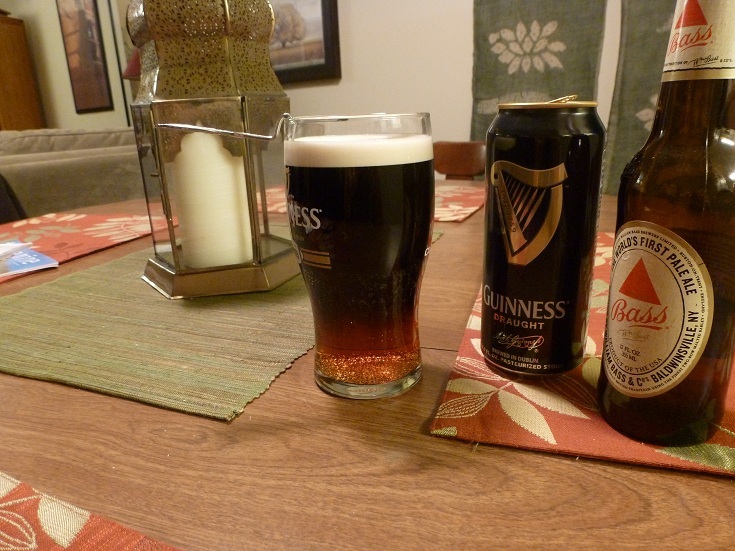 Never tried to make a black and tan from the can/bottle – don’t know if it works without the spoon. Nevertheless, looks like your solution was a good one. You can make us some with Guinness and Lord Chesterfield in WV.